There is an old saying called First impression is the best impression. It is absolutely true because the first impression is more powerful than anything. As people, we are too much carried away by the looks. Even though time and again everybody says that inner beauty is the real beauty, people strongly tend to judge a person by his/her looks. We all are allured more by a lovely face than a tender heart! This belief has been further supported by a series of research conducted by Society for Personality and social Psychology, Austin. These re-searches show that a good looking person is perceived as a good person and nothing except a personal experience can alter this opinion. But one thing which had to be borne in mind is that the impression which is formed from a social networking website is more negative than formed face to face. How does Appearance Outmaneuver Fact? We often meet people when we walk through the roads. The first impression is formed the moment we look at others. It is very strong and make us forget what we know about that person. This is what Rule says about the first impression. To prove this fact, we can take the example of the study done by him and his colleagues, on the first impression about sexual preferences of 20 men. For this, the photos of 20 men were given to 100 participants who were asked to talk about the sexual preferences of these 20 men. The reply they gave within a short period of time varied widely than the reply they gave after some time. The reason behind this is that when they had to reply immediately they judged the people according to their looks and when they took some time they gave their opinion based on the information on sexual orientations they have about these 20 men. We all know the handsome singer Ricky Martin. Rule uses Ricky Martins's example to further reiterate this fact. 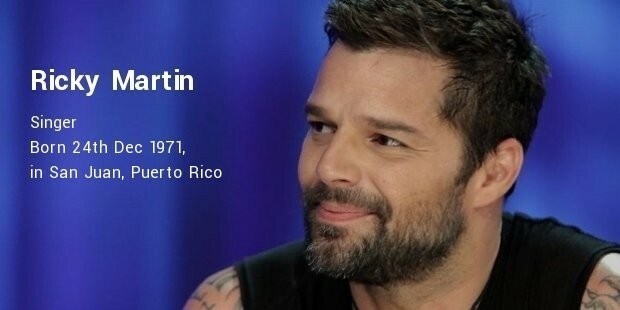 For years, Ricky Martin denied that he is a gay because of the fact that people will develop a dislike because he was a gay. Whenever we see him the first fact that comes to our mind is that he is a gay. We all make our mind understand that he is that famous Ricky Martin after some time. So great is the power of the first impression. Most commonly, men say that they prefer an attractive partner and women say that they want a partner who is capable of earning a decent salary. This holds true when they happen to meet each other online. But these differences in preference disappear the moment they meet in person. Both men and women are infatuated with sweetest looks. In short, we can say that people are fascinated by the beauty and forget about the real facts which lay hidden deep inside their beautiful fair skin. The initial impression about people remains unchanged even after knowing their real character. Beauty out weights an intelligent mind.